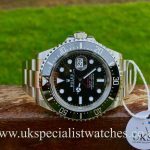 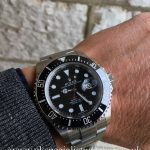 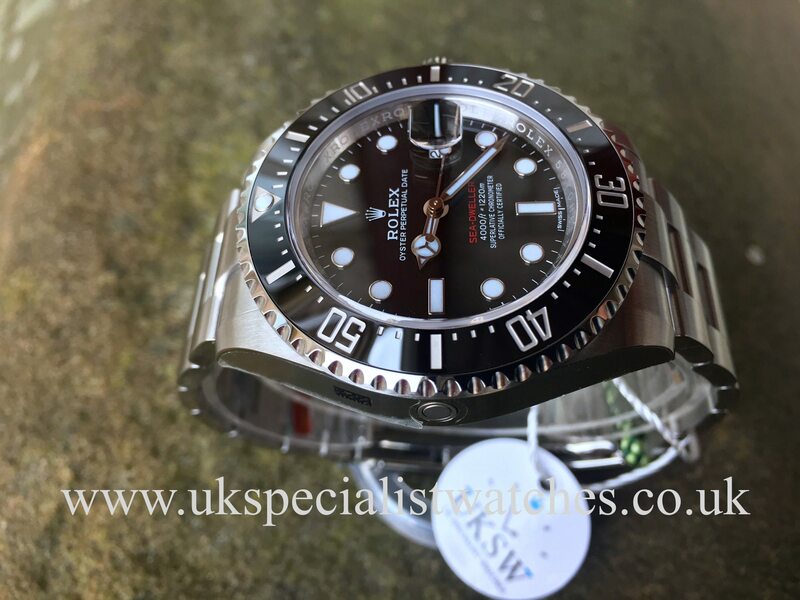 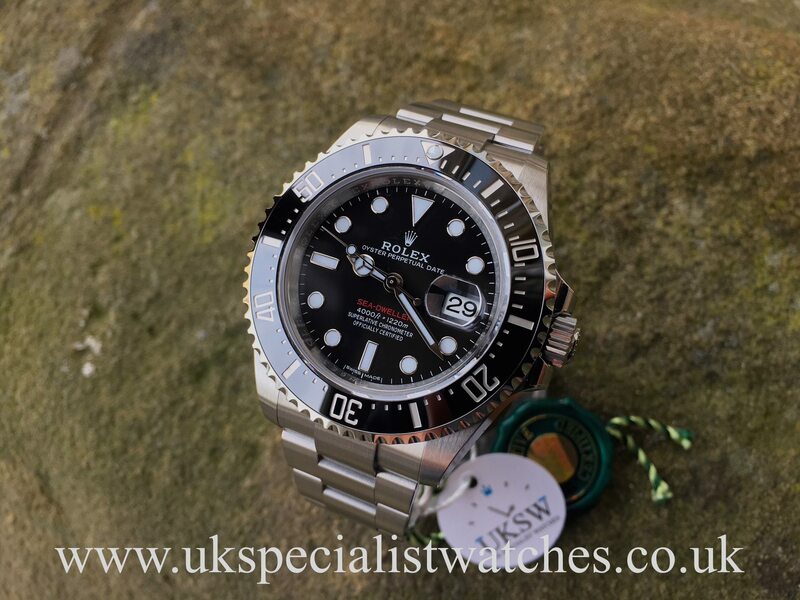 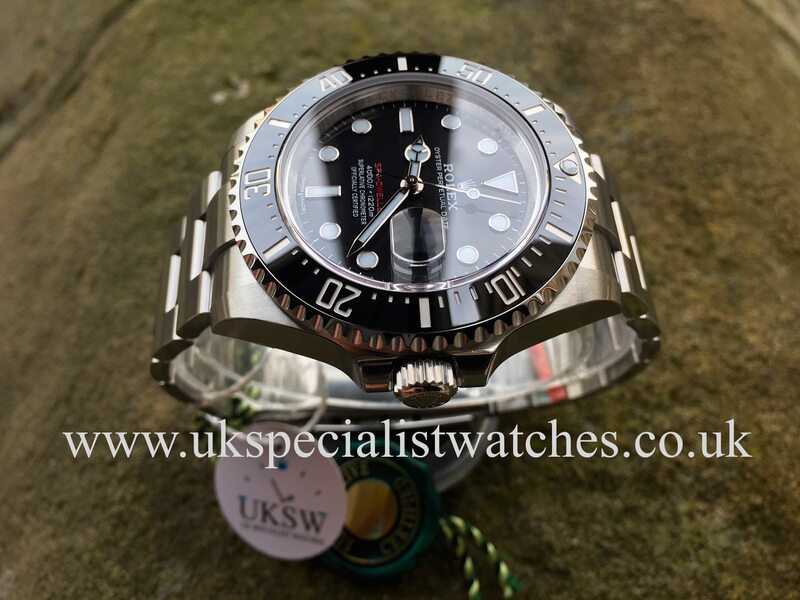 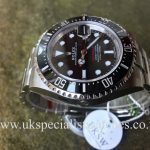 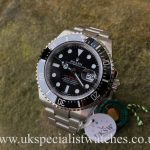 Rolex Sea-Dweller 126600 new model with the name “Sea-Dweller” in the retro red font like the original 1665 model introduced back in 1967, 50 years ago hence this model being christened the 50th anniversary. 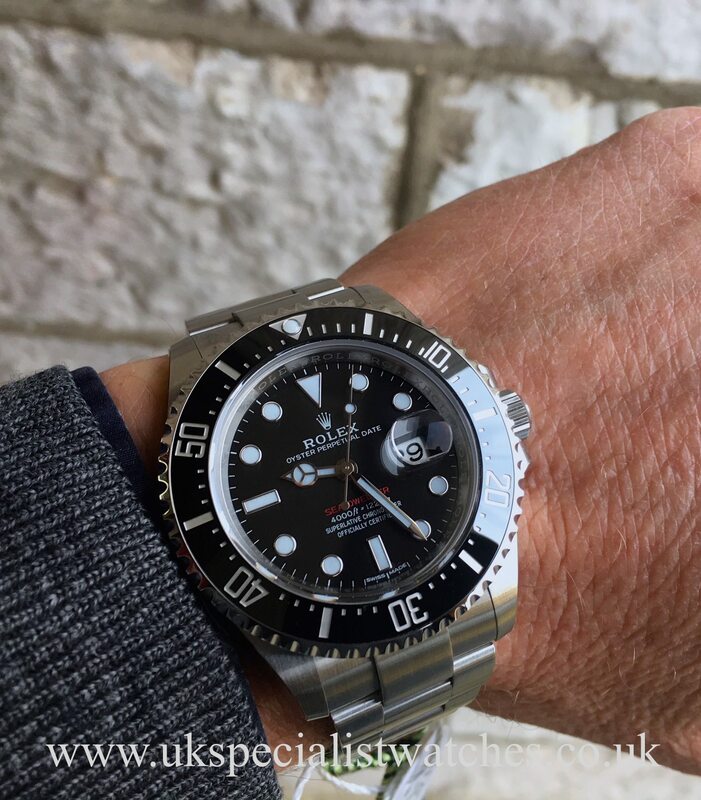 This latest model now features a larger 43mm case with Matte Black dial with Chroma-light blue-glow hands and hour markers, scratch proof black ceramic bezel. 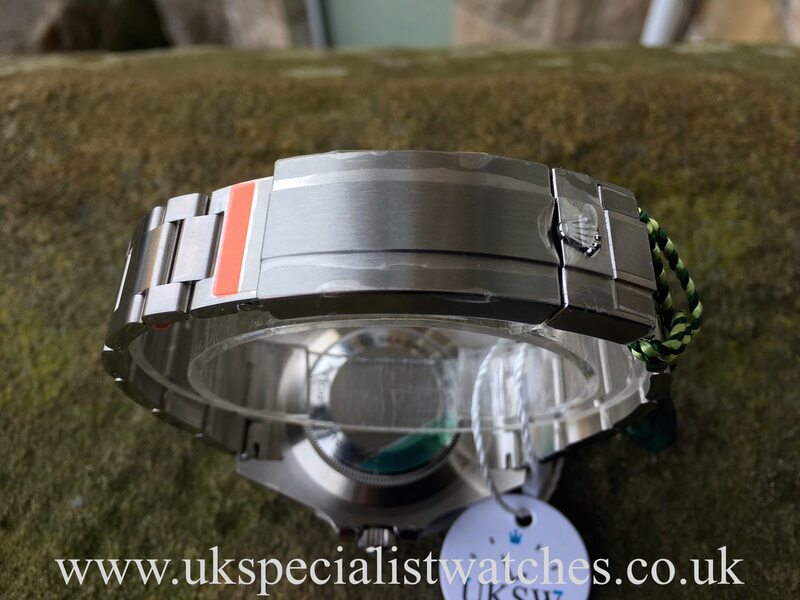 Helium gas escape valve on the side of the case at the 9 o’clock position. This latest model now has the upgraded tougher Oyster lock bracelet with the new glide-lock clasp for easier adjustment, water resistant of up to 4000ft = 1220mts. 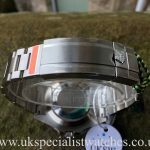 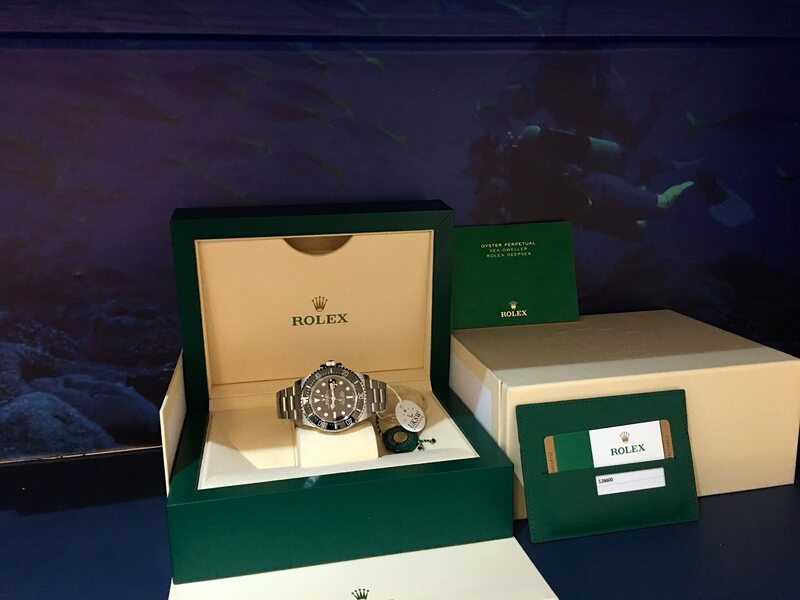 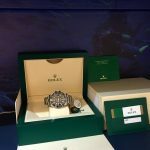 Our unworn example comes complete with all its original Rolex boxes, stamped warranty card, green leather wallet, booklets. 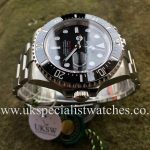 Supplied new July 2017. 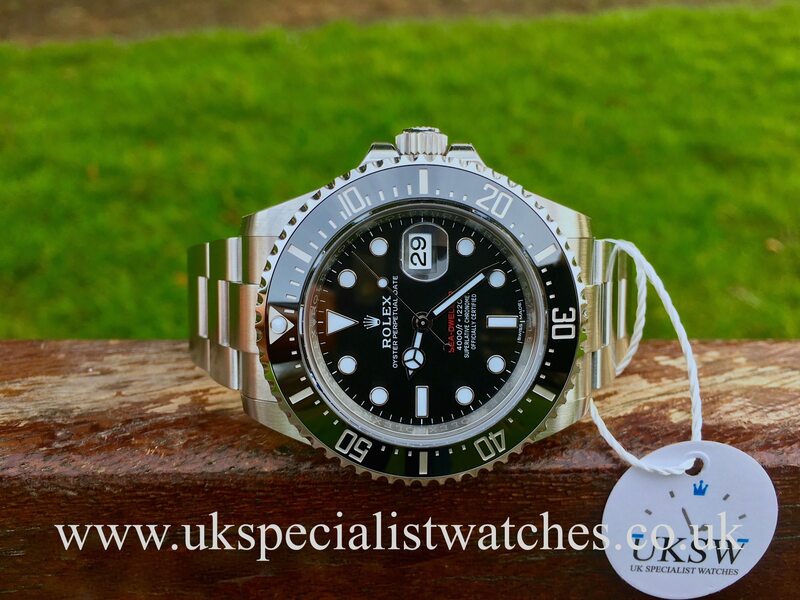 Still with all case and bracelet stickers.